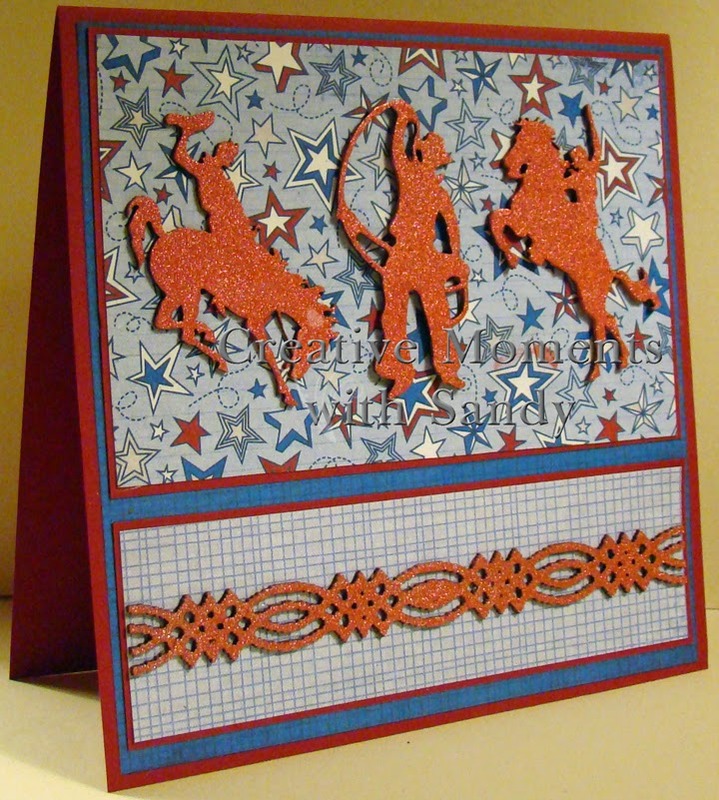 Here's a fun card for the cowboy in your life using the newly released Piccolo Rodeo Accents. You get a total of 8 pieces of chipboard in this set. I chose to use 3 of the smaller pieces, coloring them with Carmine Red 3D Stamp Paint. This is such a quick project to complete. I used a Sponge Dauber to apply the ink which gives it some nice texture. For my border accent, I used the new Piccolo Braided Border, you get 8 of them in the set. It is a wonderful chunky border, perfect for that guy card. Again, I colored it with my stamp paint. Finished size is 6" square. 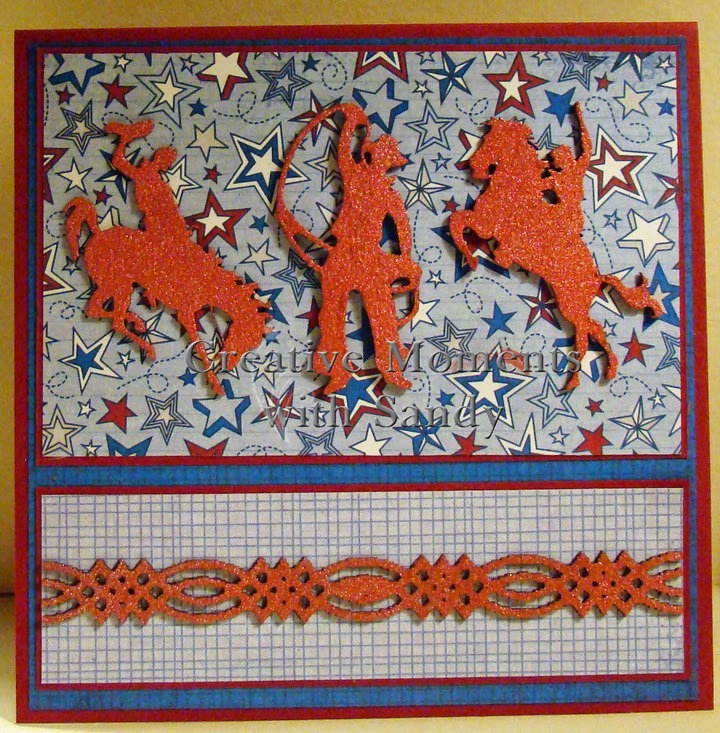 Awesome guy card, love the combination of the Rodeo accents and the braided border. An Offbeat Bride --- the finished bouquet. Happy Birthday Starts Now. . .